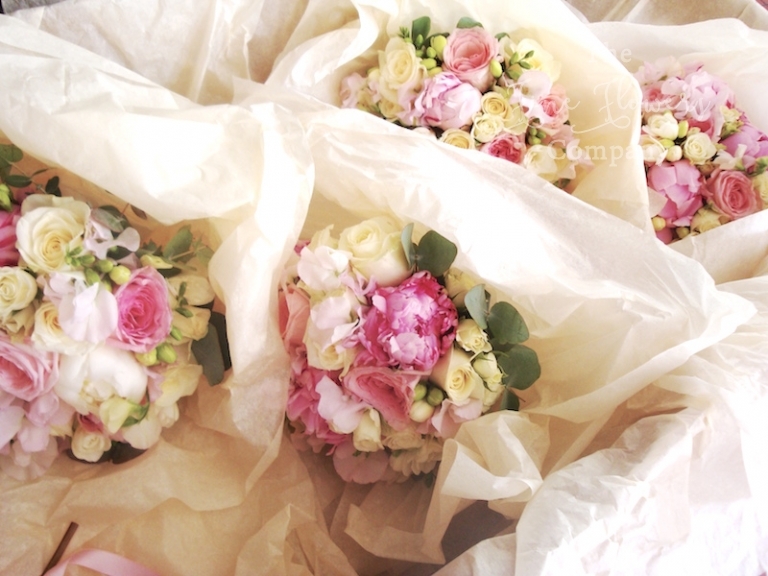 Isabelle’s beautiful Pennyhill Park wedding flowers – so pretty in pink! This summer we had the pleasure of arranging Isabelle’s wedding flowers at ST PAUL’S CHURCH, in Camberley and nearby PENNYHILL PARK. We had previously arranged Isabelle’s sister’s flowers and when Isabelle approached me to discuss her wedding flowers, I was thrilled to be asked again, and instantly fell in love with her wedding theme of all things pretty and pink. 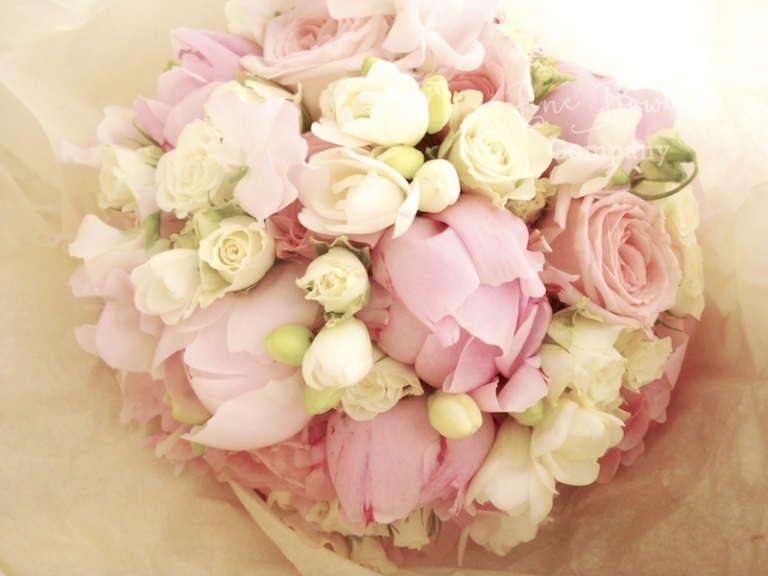 Funnily enough our previous Pennyhill Park wedding flowers were also in a very pretty vintage pink theme, so we had plenty of ideas to show Isabelle. Isabelle wanted to achieve a very light and summery feel to all her flowers and together we planned to use lots of vintage flower influences such as paeonies, pale pink gypsophilla and sweat peas, and lots of bloomy flowers such as hydrangeas. 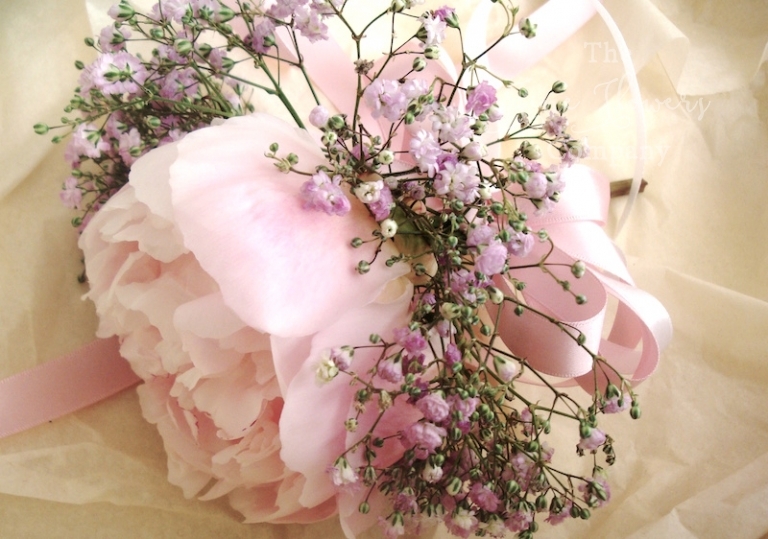 The bouquets all used lots of roses, paonies and sweat peas, and for her little flower girl, we had just a single bloomy paeony framed by a lacey collar of pretty pink gypsophilla. Really adorable! 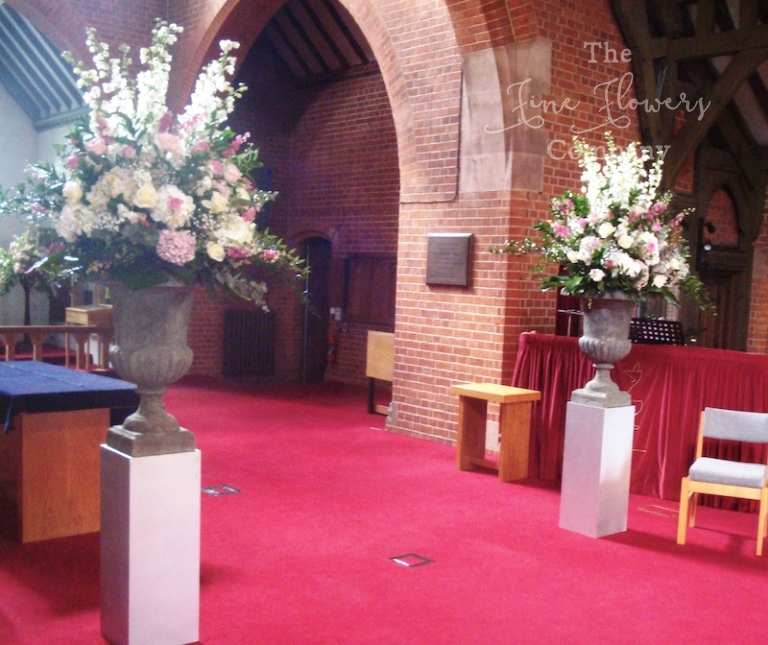 The biggest challenge was the church which is just so vast – to make any impact, we produced the most amazing grand urn displays which seemed to fill the van but somehow shrink when placed in the great church hall. These were later brought back to Pennyhill Park and used again – one by the seating plan, and one in the window recess behind the top table, which must have created an amazing backdrop for the lucky couple.